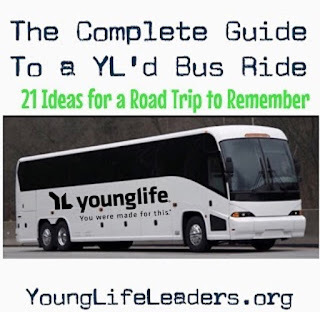 Many of you have LONG bus rides to camp this summer. Instead of enduring the ride, let's make it one of the highlights of the trip. Below are tons of ideas stolen from many different Young Life leaders over the years. 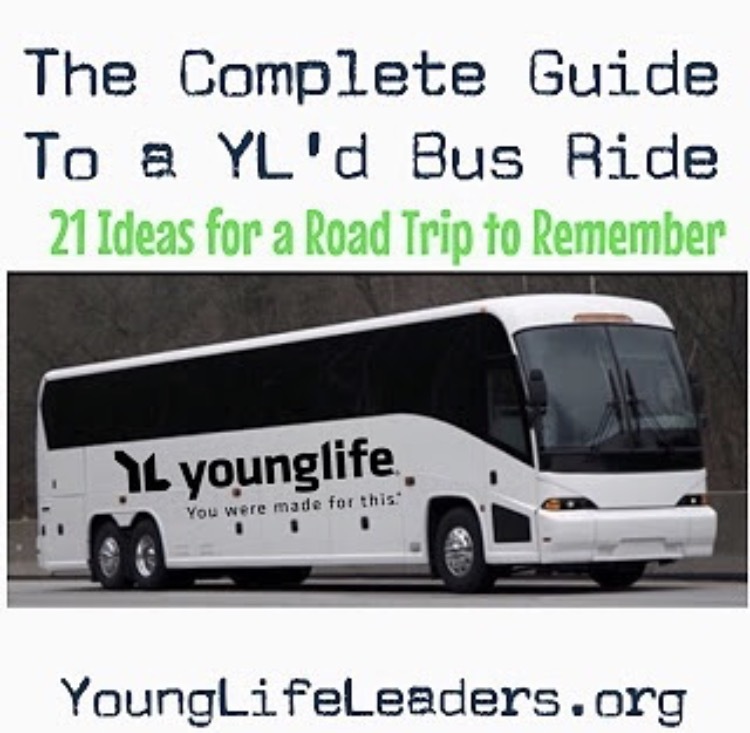 Thanks to YL Area Director, Zach Kreeger, for writing down some fun ideas of places for the bus to stop all across the country: Where To Stop On The Way To Camp. If you bring an adapter, it's fairly easy to connect your laptop to most Bus DVD player setups. If so, you can play some PowerPoint games and make them into contests for prizes. You can download some free ones here. Give a scenario like "Would you rather have 10-inch fingernails or 10-inch toenails. If you’d rather have 10-inch toenails go on this side of the bus, if you’d rather have 10-inch fingernails go on this side of the bus.” Divide it up long ways so people don’t have to walk down the aisle to the front or back of the bus. There are quite a few websites and apps that can help you create questions, but better yet, why not gather a few kids at the front of the bus and let them own this game, coming up with their own questions for everyone? Make your own version of American Idol or The Voice! You can get Karaoke tracks of many songs on Spotify. Make sure to bring your dongle if you have an iPhoneX so you can connect it with the bus system. Have kids write raps/poems about the trip and read them on the mic in front of everyone. A few years back we had 2 guys who rewrote the lyrics to "Hey There Delilah" and changed it to "Hey There Bus Driver." They played guitar and sang it in the mic. Our driver loved it. The possibilities are endless. If you have a long time between stops, it's helpful to have a cooler with cold drinks/snacks. Tell kids ahead of time if you're planning on selling them. You don't want to hear "I paid $800 for this trip, I deserve a free coke."